This was my first course design for Miller Field. It wasn't too different from our usual courses there, but I wanted to give it a try. I was afraid of making it too wide open and fast, but it turned out to be a fairly tight course that could've been opened up a bit more (mental note for the next Miller Field course design ). 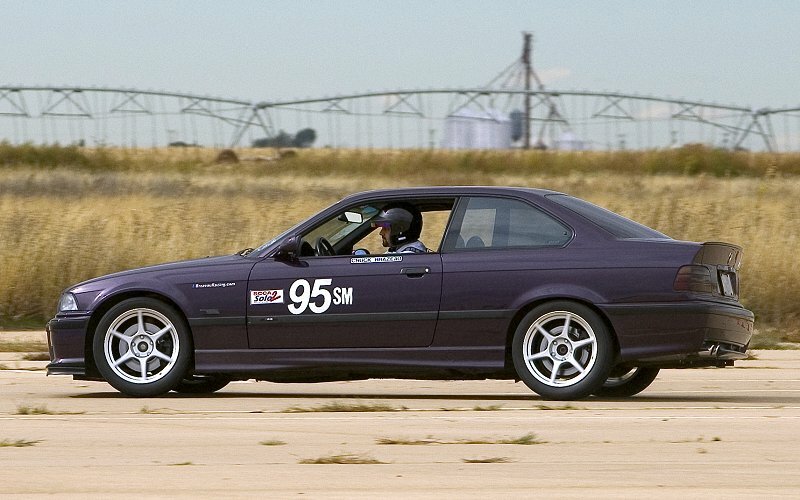 The M3's racing tires have gotten worn down pretty good throughout the season, and they didn't have the grip that they did several events ago. I also softened up the rear sway bar one notch (from medium to full soft) in an effort to reduce the small amounts of oversteer I've noticed throughout the season. 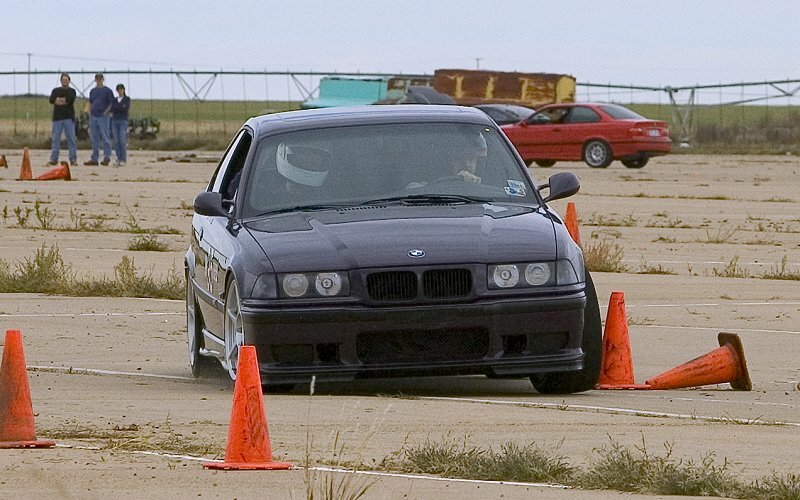 At this event, the oversteer was still there, but it was a little different... I'm not sure if it was the sway bar adjustment that I made, or if it was the lack of grip from the worn tires, or a combination of both. 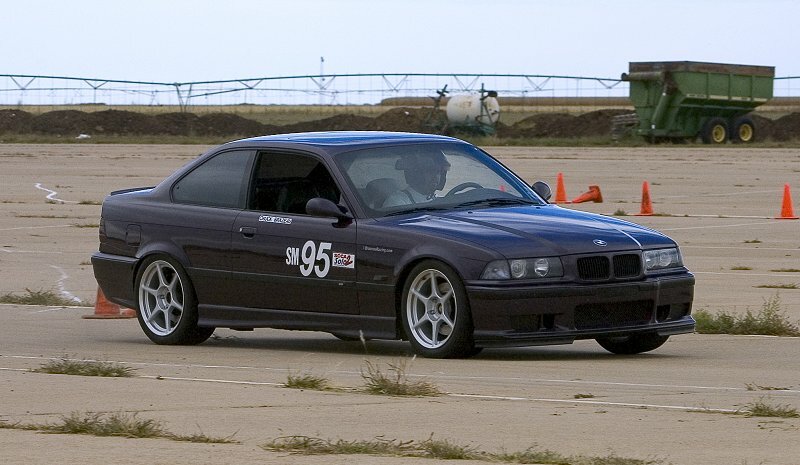 Either way, the M3 just wasn't handling like it usually does, which I assume was mostly due to the tires. 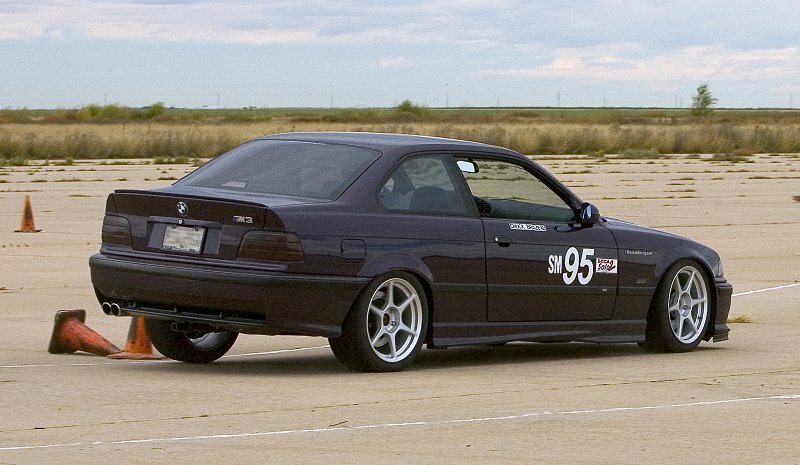 I've heard that the Kumho Victoracers will lose their grip rapidly as they get close to the end of their tread life, so I'll need to budget for two sets of racing tires for next season (I'll also have each set shaved to 4/32" so that they're more competitive right from the start). 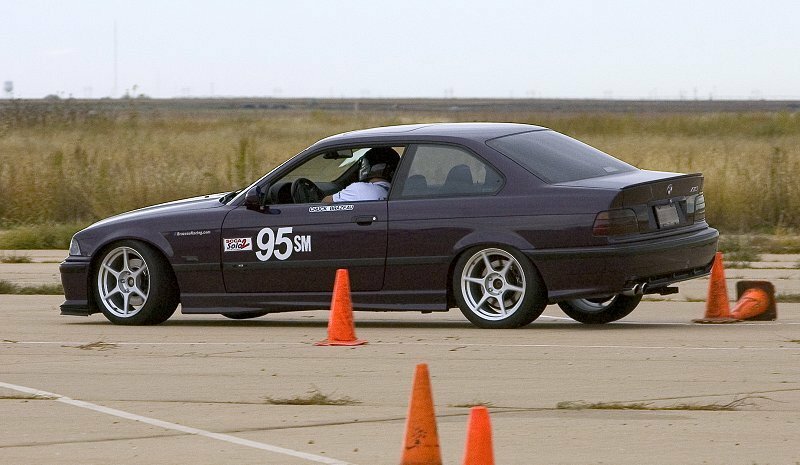 Even with the tire's lack of grip, I was still able to win my class and place 2nd overall, as well as set the fastest time of the day. With the points from this event, I'm now in 1st place in the Championship Points Standings, and I only have to acquired 121 points at the last event in November to win the 2004 Overall Championship. 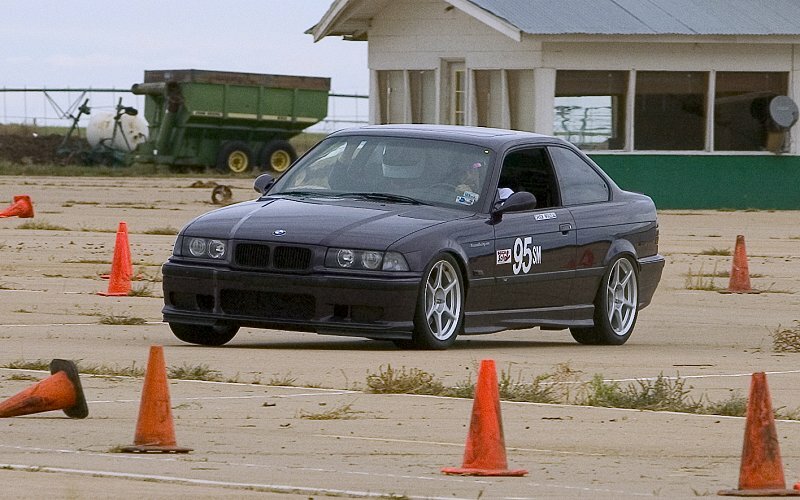 UPDATE: The November event was canceled due to bad weather, so I ended up taking first place in the 2004 West Texas Region SCCA Open Autocross Championship!! !